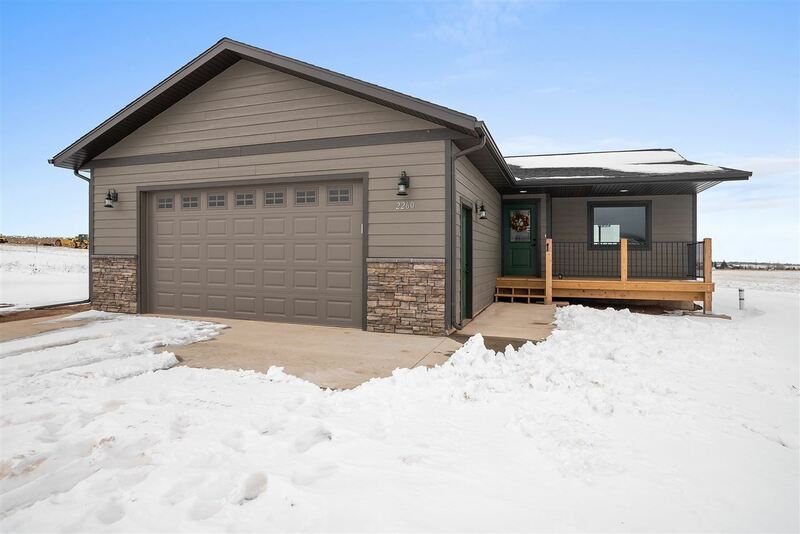 New Construction in the Top Shelf Development at the edge of Spearfish. Beautiful views all around! This 2 bedroom, 2 bathroom, 2 car garage home has main floor laundry, vaulted ceilings, and an open concept. Fully finished, it has the possibility for 4 bedrooms and 3 bathrooms! Features include wood cabinetry with soft close drawers, stainless steel appliances, granite vanity counter tops, and double sinks in the master bathroom. Enjoy the gorgeous views the Black Hills have to offer from either the front or back covered decks.